Everyone knows the saying “it costs to be the boss.” Well, in college that saying holds even truer. With so many things to do, see and experience, you don’t want to always have to call home to mommy and daddy asking for money. Working on campus offers plenty of opportunity to work part time without being stressed out, and you can make some decent money while you’re at it. 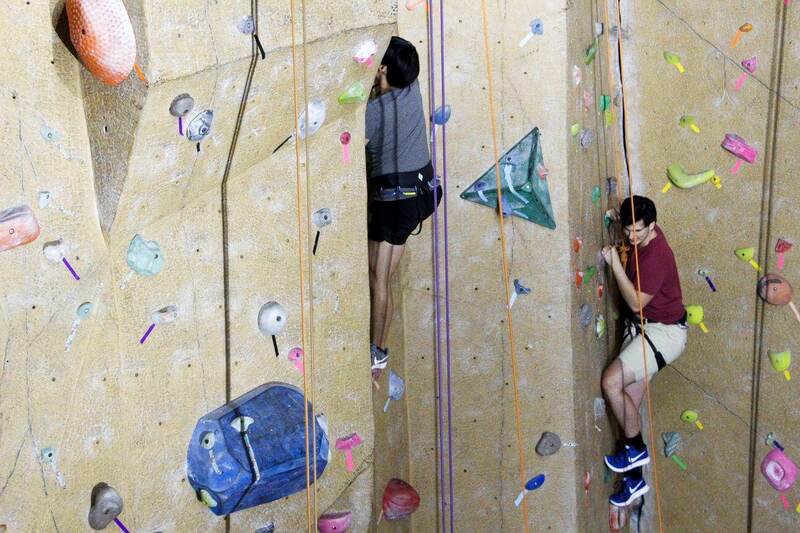 Finding a job that is the right fit can be tough, but most UGA jobs find a way to fit in your crazy student schedule. Need a little cash? Check out these UGA jobs. 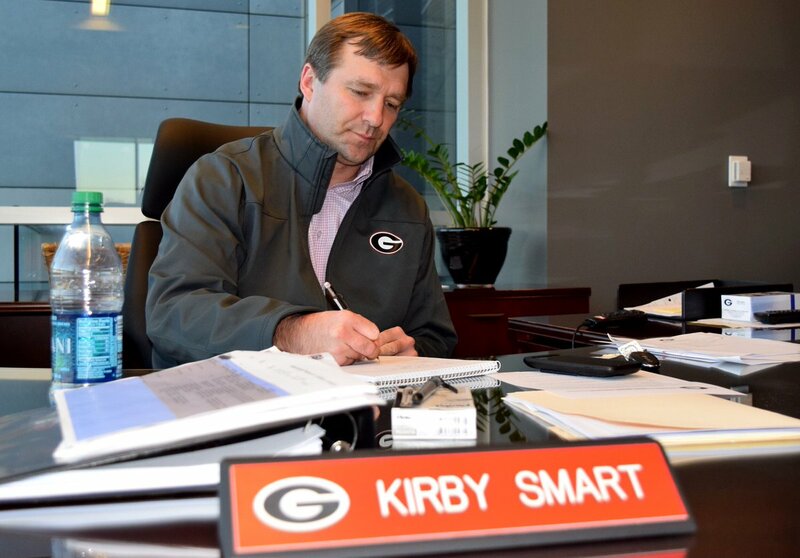 On campus jobs are extremely appealing, but no UGA job exemplifies that more than the desk assistant position. Desk assistants are responsible for answering phone calls, providing information to those who need it and assisting the residence hall directors and RAs with maintaining general building upkeep. The DA job is extremely easy and keeps you off your feet and in a cushy office, which makes it one of the most popular jobs year after year. Office assistants have the almighty responsibility of retrieving, sorting and distributing mail. The OAs get paid more than the DA’s; however they have a little bit of a tougher job. Good hours and overall ease of work attract bulldawgs of all years. “The job was really chill with lots of sitting. Getting to talk to the residents was cool because all the freshman would come down and talk to you while you’re at the mailroom working, so time would go by fast,” said junior Eniola Ibisanmi. Landing a gig as an RA is tougher than gaining employment at any other on-campus job because of the benefits alone–free housing and monthly check or meal plan coverage for the school year. Cha-ching. Parents love when their students become RAs because it takes away a huge financial burden. However, the RA job can be intense. RAs perform rounds, throw programs, sit at desks, attend numerous meetings and are responsible for making sure all hell doesn’t break lose in the building. You can’t make up some of the things that happen in dorms—especially the freshman ones. If you do find yourself with an RA job, be sure to take it seriously, but also remember that you’re a student too. Enjoy yourself but realize that there will be good times and bad. 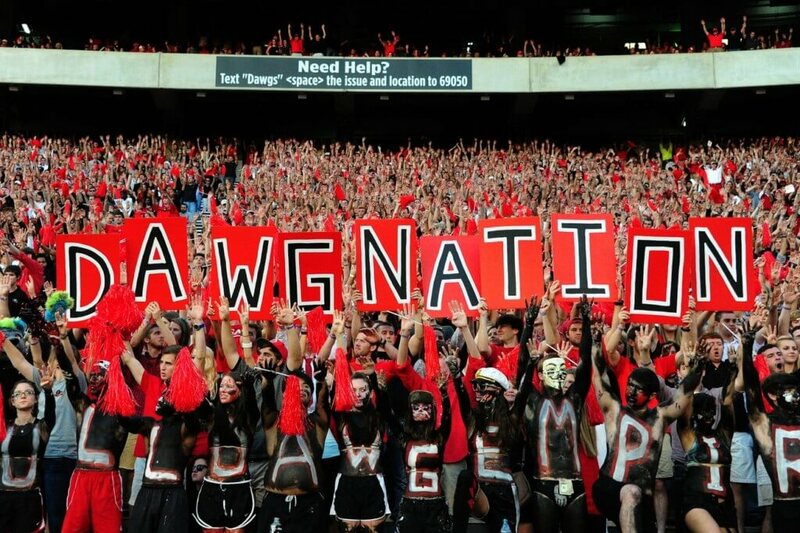 As a division 1 school, UGA has tons of top-talent athletes. To ensure that our amazing athletes are attending class like they should, we have class checkers. Class checkers have a roll and mark whether or not athletes attended class or not. That’s right–you basically get paid to take attendance. Class checkers end up building relationships with these athletes and many come to realize that these students have much more to offer than their athletic abilities. If you apply to work for food services there is a 97 percent chance you will get the job. Seriously. The awesome dining halls and on campus eateries don’t operate themselves. That’s where the students come into play. The gig is pretty average. It’s not too tough, but if you’ve ever worked in food service you know it can also be pretty annoying at times. You do get a free meal every time you work though, which can be clutch when you need it. If you want a job and don’t want the hassle of applications, interviews and cover letters, you’ll want to check this place out. Transit remains one of the most popular jobs simply because it pays more than almost any other. While most of the other on campus jobs hand out minimum wage, transit offers between $9 and $10 per hour. “My favorite part of my job as a student driver is the pay,” said campus transit bus operator Cequoyah Gates. “Aside from that I like driving the bus because it provides different challenges, and I am constantly sharpening my driving skills. My least favorite part about driving would be the traffic. Other than that the job is pretty great.” Bus drivers literally drive the bus route from the time you clock in to when you clock out. Although you can’t use your phone, you do have creative control over what music you play on the bus. Remember, great power on the aux cord comes with great responsibility. C.L.A.S.S. advocates are similar to RAs except their focus is specifically on promoting diversity in the residence halls. CAs throw programs and do social rounds each week where they talk to students on their rosters and simply offer advice and help in pretty much whatever aspect they need. CAs revel in their popularity because they get all the benefits of the RA role, but the job duties are much less demanding. The jobs at the Visitors Center, like the RA and CA positions, are some of the more prestigious jobs to pursue on campus. The Visitors Center employees are the wonderful students you see on the regular giving tours to potential students and their parents. The competitiveness is high and that makes the job so lucrative. “My overall experience has been life changing in the fact that when I first got the job I didn’t have a lot of experience in public speaking or a whole lot of confidence, but being able to captivate an audience for 75 minutes has really given me the self confidence to be a public speaker and pursue that as a career,” said Visitors Center tour guide Iria Creamer. If you work at the Visitors Center, people know you’re legit. It also portrays that you have a pretty awesome personality because it can take a lot to command the attention of those large groups. At first glance the Information Desk at the Tate Student Center seems like it might be the easiest job ever. “There were challenges in finding answers and trying to maintain customer satisfaction. However, past these challenges, I learned a lot about myself, I improved in professional development and got the friendly experience I expected out of this job,” said information desk associate Salena Araya. The misconception is that workers just sit at the desk and chill, but information desk associates have the burden of attempting to maintain not only a friendly appearance, but an actual thriving and friendly environment for the entire building. Looking for more? Check out more UGA jobs that aren’t bartending. Have you ever found yourself halfway through the month with your allowance run dry on alcohol and Thai food? Your parents probably will not take so kindly to reimbursing you for such expenditures. Every student knows that beyond books and tuition alone, college has its costs – especially in Athens. Hello, how can you live without hitting up your favorite coffee place every once in a while…or everyday? Take a look into our list of fabulous jobs on campus for UGA students to get the cash flow going. Your first, and possibly last, visit to UGA’s bookstore may have been on your campus tour or during freshman orientation. So take a walk down memory lane to the place that sells seemingly anything but its namesake. 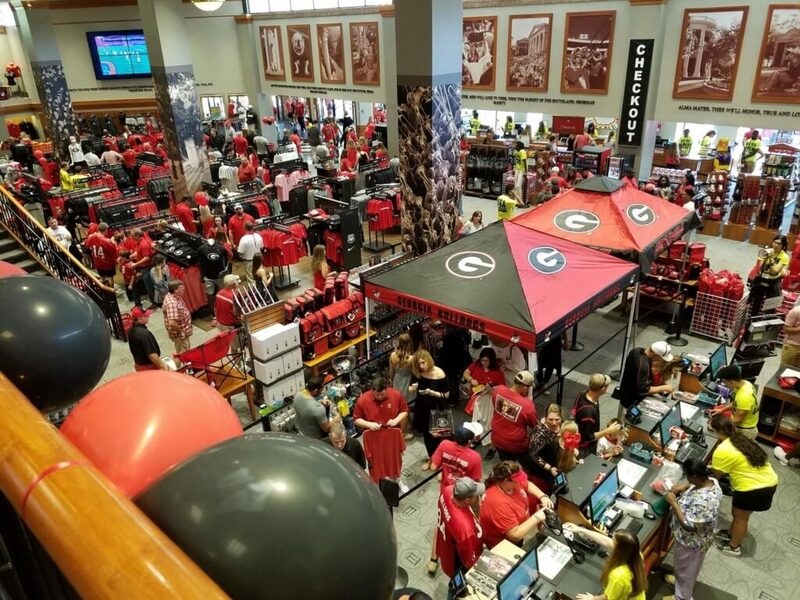 UGA bookstore employees get discounts on books, apparel, supplies (and maybe even red and black shot glasses and koozies). Students can apply to work as a bookstore employee through the UGA Career Center. Loved your Lizzie McGuire-esque adventure around Rome? Spread your wanderlust across campus. 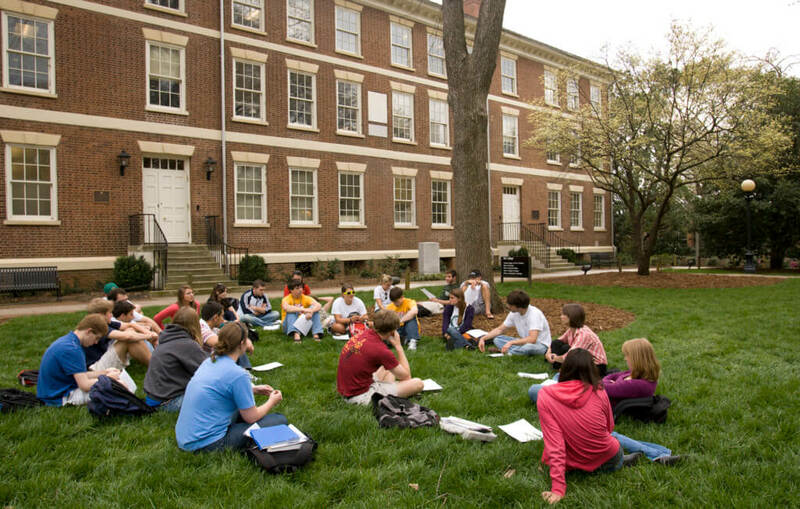 The Office of International Education serves as UGA’s hub for study abroad information. Students can work as ambassadors for UGA Study Abroad where they talk to fellow students at study abroad fairs and information tables in the MLC as well as finding marketing content to advertise certain programs. “It’s a great fit for me because the hours are flexible, the staff is awesome and I get to teach other students about study abroad programs,” said UGA senior Leigh Peters, who’s worked for UGA Discover Abroad for three years after her first time studying abroad in Australia and New Zealand. You’ll need those office skills to become a #boss someday. UGA Admissions offers student assistant positions in their office located on campus. Students can work as front desk assistants where they get to interact with UGA applicants and families and assist the Admissions staff. Sophomore Elizabeth Gaddini got the gig through meeting a UGA admissions representative at a college fair back home in San Francisco. “Working in the office has changed everything for me. Not only has this job given me a purpose beyond being a student here, it has given me an outlet to connect with the community in a way that would have been difficult without my job,” said Gaddini. UGA undergrad and masters students can apply to work as mentors to student-athletes. To assist them with the rigorous physical and mental adjustment and schedule of being a student athlete, mentors act as advisors to UGA players and meet with them regularly. If this sounds like you, or you’re just trying to hang out with Jacob Eason by any and all means necessary, check out UGA Handshake for mentor positions. If you want your people skills to become as good as Kris Jenner’s, check out the Classic Center, a well-known convention center located in downtown Athens. The Classic Center offers internships in Sales, HR, Accounting, Sports Marketing and even Theatre to students. For any communications or marketing majors, it sounds like a perfect opportunity to snag a resume builder. “It was a great way to see the behind the scenes of events I had previously only been in attendance for, and gave me rewarding insight to a business credited as a major source of Athens revenue,” said UGA sophomore Lucy Heneghan, who worked as an event-planning intern last semester. As a bonus, all employees at the Classic Center get invites to events hosted there. So even if you didn’t get asked to that date function you wanted to go to, here you go. Imagine sitting at your desk at work, looking up and seeing Coach Taylor from Friday Night Lights. UGA’s Alumni Office manages over 350,000 living alumni, so understandably, they need a hand or two in cold calling such a high quantity. Junior Becca Gemes currently works as an assistant in UGA’s Alumni Office. “I love interacting with alumni who come into the office or call on the phone,” Gemes said. “I enjoy the connections I’m making too.” Just don’t let your jaw drop if you see anyone super famous. Being hopelessly starstruck doesn’t exactly leave the best impression. Two words: free food. Sick of eating nothing but cheap ramen and ketchup every night? If you have ever driven down Milledge Ave, you know that Greek Life members live a life of luxury in terms of housing (well, sororities, that is). Many fraternity members can sign up to be “house boys” at sorority houses on campus where their job basically consists of setting tables, doing dishes and cleaning up after meals. “Being a house boy is fun, easy, and I get to eat food,” House Boy Kyle Ganerwal said. In addition, house boys get free meals when they work. If you identify as more of a Maddie Fitzpatrick than a London Tipton (Suite Life of Zack and Cody throwback, anyone?) put your gifts to use and consider becoming a tutor. 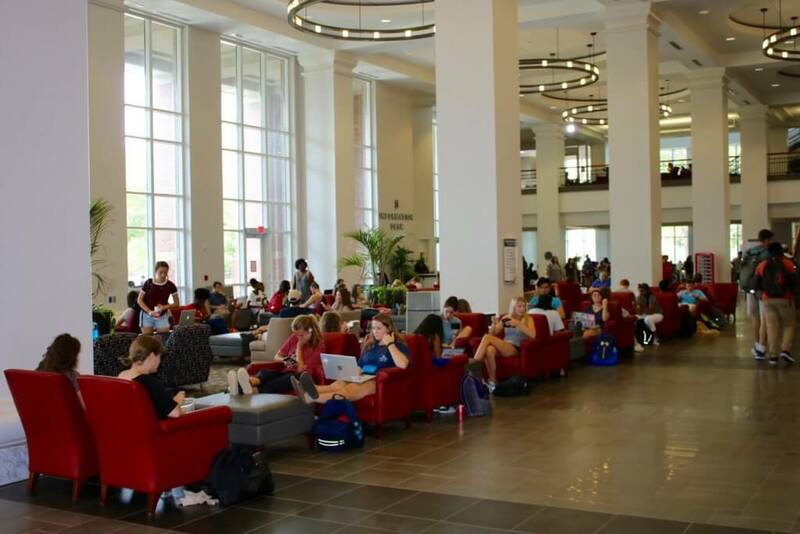 Students can apply to become a tutor through UGA’s Academic Resource Center. Tutors must hold a 3.25 GPA in the subject they will be tutoring as well as overall average, so applying sounds like some great incentive to keep your GPA up. If you spend hours cramming in the library anyways, you might as well make a few bucks from it. The Main Library, Miller Learning Center and Science Learning Center offer student positions in multiple areas. Students can apply to work at the library’s media desk, digital library, the security unit and more. Bonus points for these jobs being very Rory Gilmore approved. They get in our heads with creepy pop up ads on Instagram from that pair of shoes you Googled the other day. They sneak into our inboxes with emails they mysteriously claim we signed up for. Companies such as Amazon and Coca-Cola now hire student brand ambassadors to market their products on campus, making them virtually everywhere. But, in all seriousness, brand ambassadors get to learn valuable business skills by advertising to students, and oftentimes even get free stuff. Updated on October 3. 2017 by Lily Holmes to include jobs 11-21.